Disclosure: This post is sponsored by Mirum Shopper. 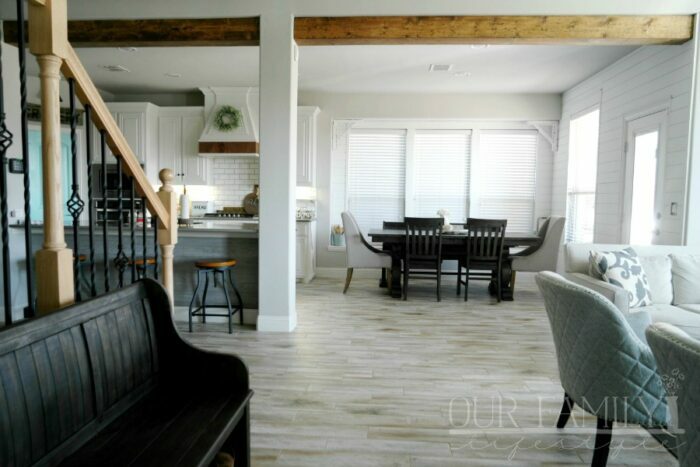 My girls hardly need a reason to have friends over for a celebration. Even with the dog days of summer behind us, we still look for reasons to have fun with water while our warm weather lasts. Recently, we decided to invite friends over a backyard party. 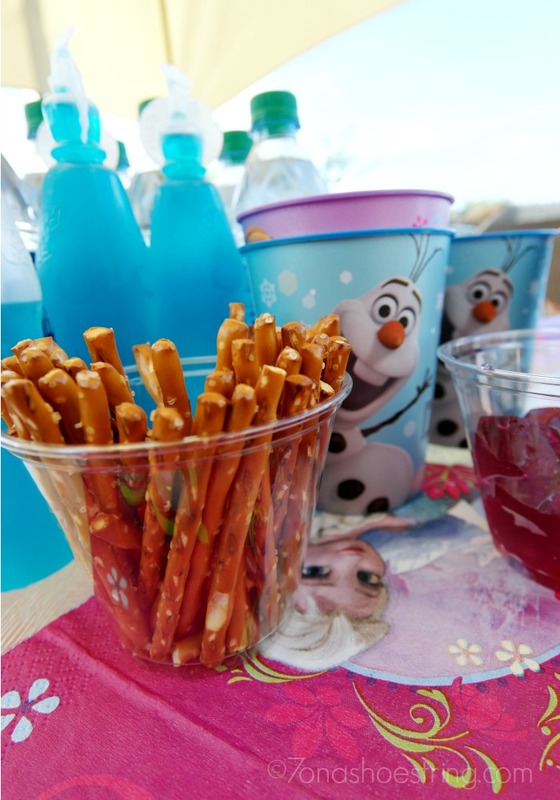 In fact, not just any party – a Disney Frozen party. After all, with it being pretty warm in Texas well past typical summer months, we wanted to cool everyone off with a bit of Elsa’s frigid snow and ice powers. A trip to Walmart provided all the supplies we needed to help bring our party alive. Just enough to let the kids snack as they played both in and out of the water. Additionally, we wanted to make a little craft each of the kids could take home with them. Therefore, we set up a fun craft area so that each child could make their own snow. 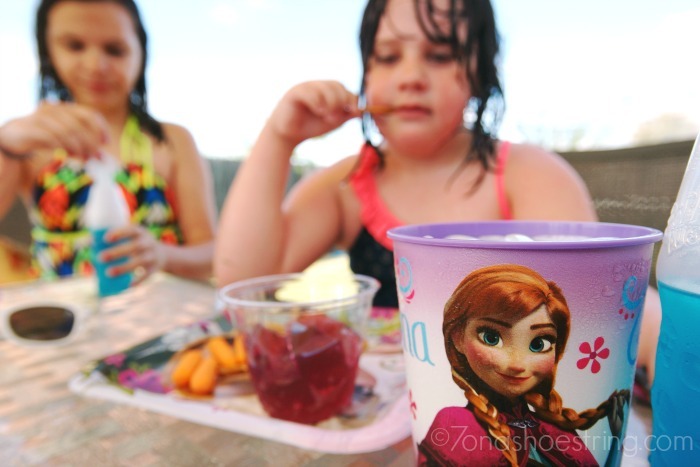 The girls thought it would be the perfect way for each of their friends to take home a little of the Frozen fun they had. 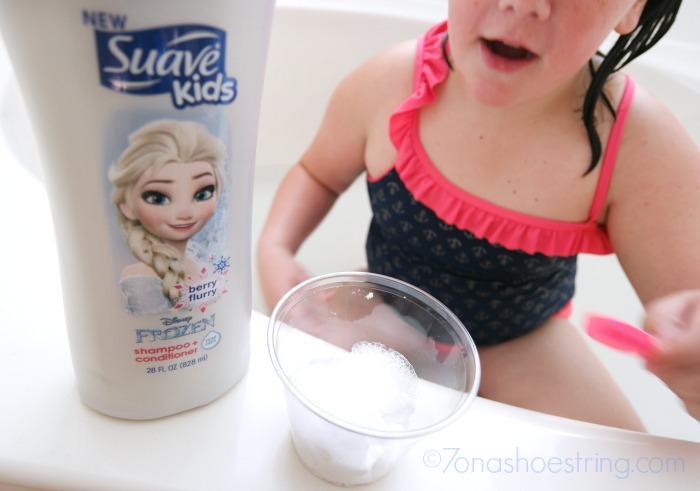 All they needed to do was mix 3 cups of baking soda with 1/2 cup Suave Kids – DISNEY FROZEN shampoo + conditioner. Speaking of taking things home, playing outside on a hot day (in or out of the water) is a sure way to get a little dirty. 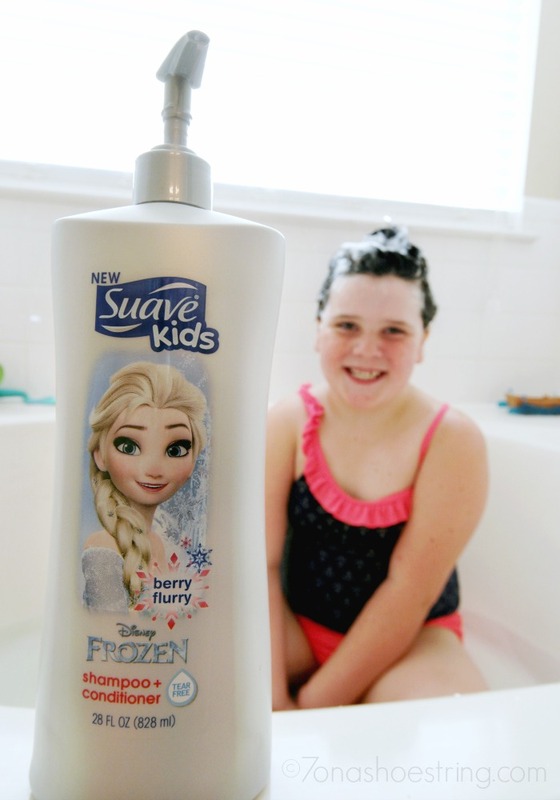 Fortunately, the adventure doesn’t have to end after the party because Suave Kids – DISNEY FROZEN helps make bath time fun. 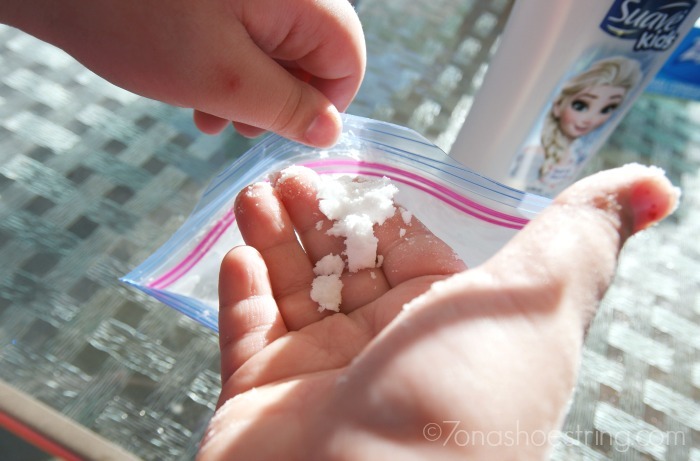 With the “snow” each of the kids made, they could then add a bit of fizz to their bath with just a spoonful of vinegar. Once the baking soda and vinegar meet, they react to each other. Not only will this encourage the kids to get clean, but they can also learn a bit of science while they bathe. Pretty much a win-win for everyone involved.